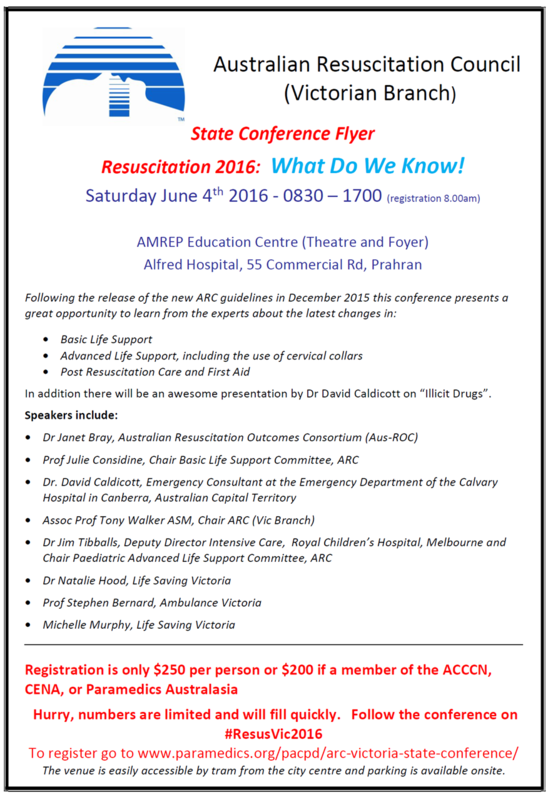 Paramedics Australasia - ARC Victoria State Conference. Resuscitation 2016: What do we know! ARC Victoria State Conference. Resuscitation 2016: What do we know!